Conservation landscaping can help protect air and water, manage stormwater, conserve energy, and provide a more beautiful, healthier human environment. By using native plants and low-input designs, you’ll reduce water, pesticide and fertilizer use, and save time compared to maintaining a lawn. Native plants are a vital element in your conservation landscape — they’ve adapted to the local climate, and are typically more drought-tolerant and pest-resistant than introduced varieties. Many are also important food and shelter sources for birds and beneficial insects including honeybees, ladybugs and butterflies. Did you know that the Kousa dogwood from China planted in the mid-Atlantic region supports no insect herbivores, while the native flowering dogwood (Cornus florida) supports 117 species of moths and butterflies? At first glance, conservation landscaping looks like a simple native pollinator garden. But a successful and healthy conservation landscaping requires going beneath the surface of the soil. You’ll need to evaluate how well your soil drains, as well as, add layers of compost and other amendments. The County’s RainScapes program developed a manual for how to install a conservation landscape. For other resource guides and tools, click here. Chesapeake Conservation Landscape Council: Eight Essential Elements of Conservation Landscaping. A RainScape is a landscape or design technique that helps reduce stormwater runoff from individual properties. Conservation landscapes are a common type of RainScape. 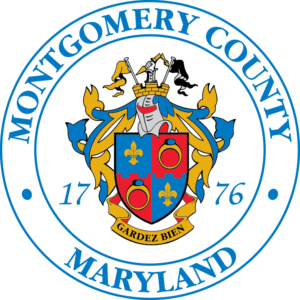 Several jurisdictions, including Montgomery County, offer rebates and financial incentives for installing RainScapes. The RainScapes rebate can potentially be thousands of dollars in savings.